Straight Drop Awnings are available in many different models with Accessories that can be customised to match the fabric or the exterior colour scheme of your home. 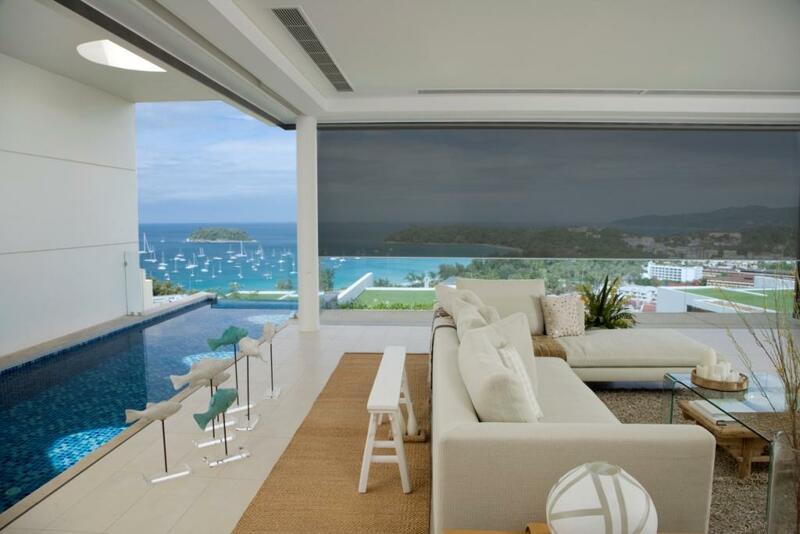 Cable Awnings feature stainless steel cables running along each side of the blind. 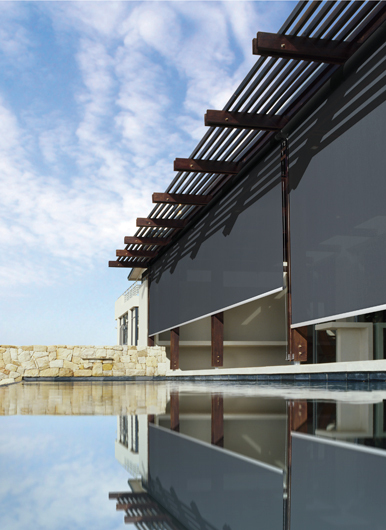 This sturdy system not only provides UV protection and air flow, it is very durable and is the best option where fixing a channel to a wall is not possible. 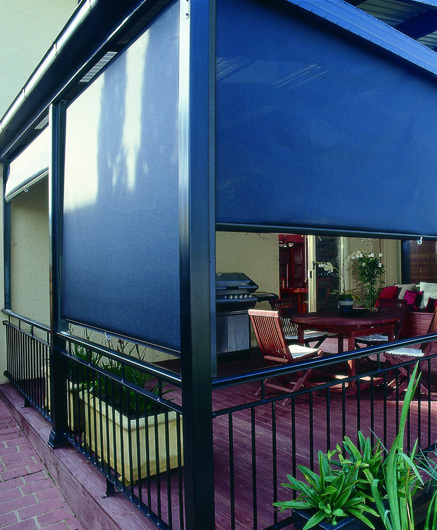 STC Awnings short for ‘Side Tension Channel’ is a tension system securing the fabric inside channels on each side of the blind. 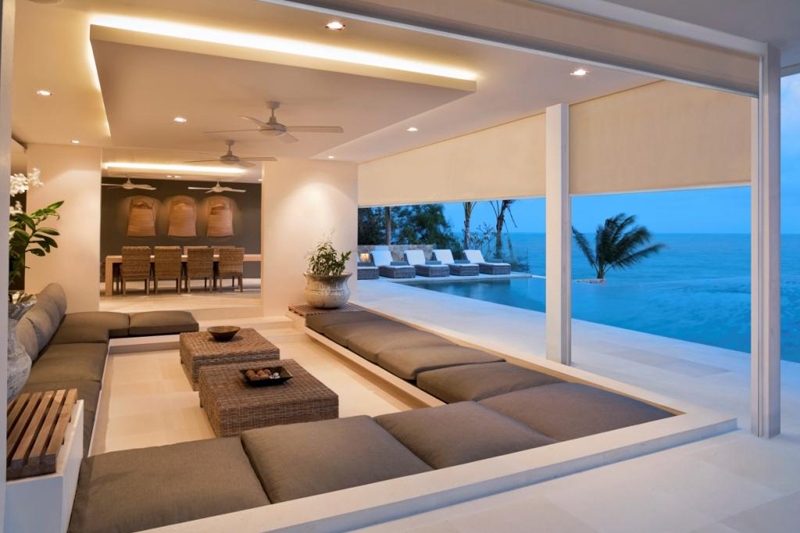 It is currently the most ideal operation for windy conditions and is perfect for enclosing courtyards, patios or balconies, essentially adding an extra enclosed space, therefore adding value to your home. Drop Awnings are a traditional awning that requires no guides or channels making it affordable and ideal for Sun/UV protection and airflow. The drop awning is simply strapped down to a railing or floor surface otherwise locking bolts can also be used to secure the awning at the edge of the bottom rail. 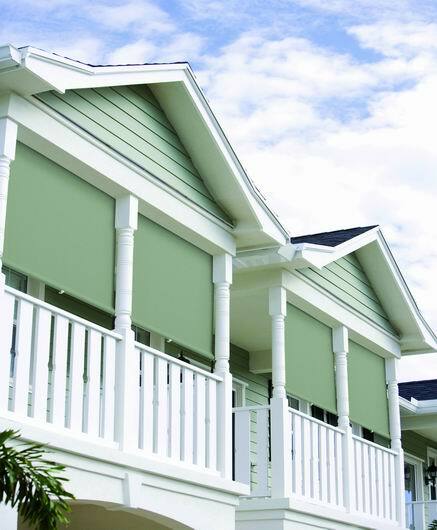 There is a style for every home and area, feel free to contact us to find out which one of our outside blinds and awnings would be the perfect addition to compliment your home.